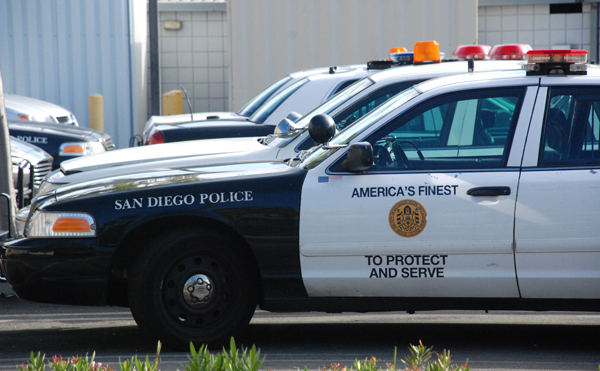 A 14-year-old Arizona boy took his parents’ pickup for a joyride in Pacific Beach early Thursday, leading patrol officers on a very brief chase that ended in a noninjury crash, police said. Officers spotted the underage driver at Mission Boulevard and Reed Avenue at 3:08 a.m., according to San Diego police Officer Frank Cali. After a two-minute pursuit, the boy crashed into a utility box at Cass Street and Pacific Beach Drive, he said, adding no one was hurt. The boy bailed on foot but was quickly caught by officers. Cali said he may have been accompanied by a buddy who got away. The boy apparently was released to his parents, according to Cali.